**Sold** Lovingly cared for and thoughtfully upgraded throughout, this stunning University Place home has it all! The current sellers have lived here for 23 years, and this home-sweet-home is absolutely filled with memories. Boasting an expansive 2,339-square-foot layout that includes 4 bedrooms, 2 baths, fabulous open-concept spaces and much more, this home also offers a fully fenced, beautifully landscaped backyard with a pool. 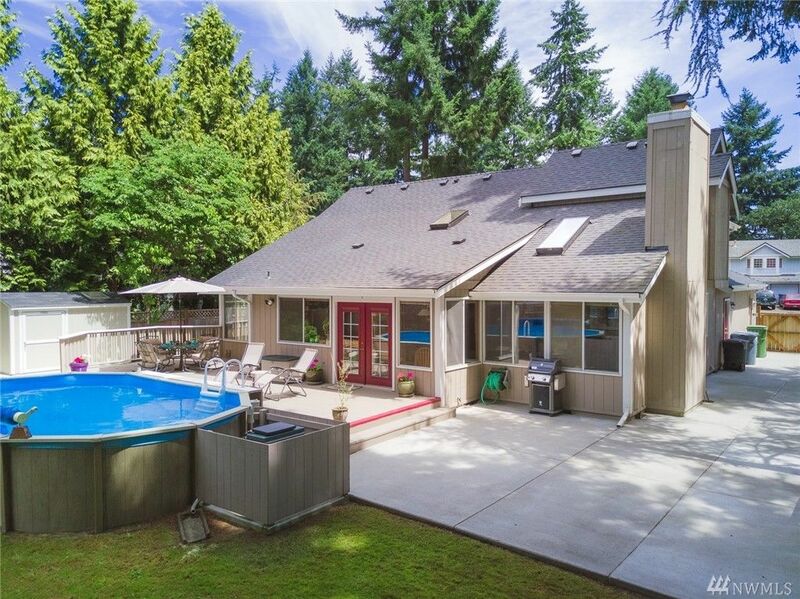 Tucked away on a cul-de-sac at 6306 75th Av Ct W University Place, WA 98467 and close to schools, shopping, Chambers Bay and more, this one-of-a-kind opportunity is listed for $430,000. Showcasing a timeless exterior that’s accented by crisp white trim, classic brick, and framed by tall trees and a neatly landscaped yard, this University Place gem is a delight to arrive home to. An oversized driveway offers plenty of room for parking, a cute path leads to the backyard, and a charming front porch with a swinging bench greets visitors. The welcoming atmosphere just continues once you’re inside, and as soon as you step in through the front door, a fabulous entertaining space awaits! Impressive vaulted ceilings connect the formal living room and dining room, an elegant space designed with entertaining in mind. Imagine having friends over for cocktail hour and a dinner party, or celebrating special occasions and holidays! There’s room for it all, and this haven is ready to be decorated to suite your own unique style. The vaulted ceilings continue on into the great room, an inviting, open-concept space that’s filled with cheerful natural light. 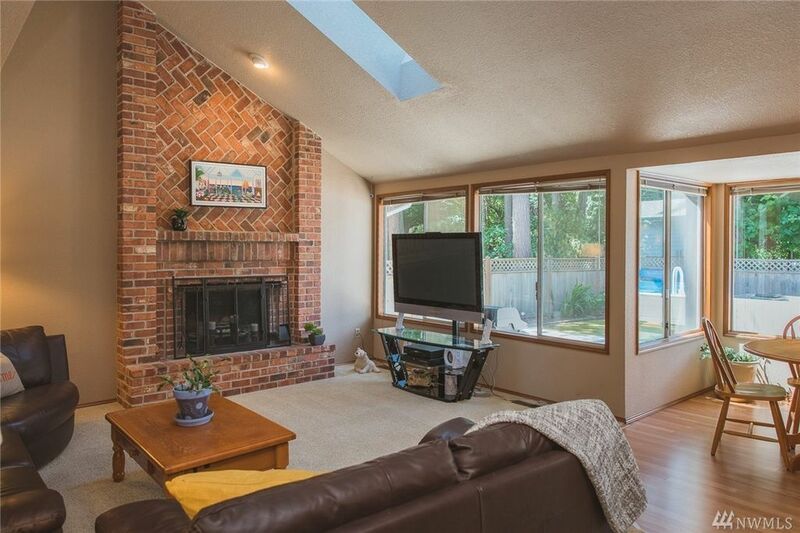 Here, another living area awaits, showing off incredible design elements like a floor-to-ceiling brick-accented fireplace, a skylight, and huge windows. The adjacent dining nook offers a sunny, window-wrapped space that’s perfect for laid-back meals among loved ones, whether you’re enjoying a weeknight dinner together or weekend brunch. The upgraded kitchen features a smart, open design that combines fashion and function. Rich cabinetry rests alongside sleek jet-black appliances and countertops for a handsome contrast, all while providing function at its best. Plus, don’t miss the laid-back bar-style seating, and a handy built-in desk just around the corner! Included in this home’s generous 4 bedrooms is the luxurious master suite. In addition to vaulted ceilings, plush carpets, and a walk-in closet, a bright and fresh 5-piece ensuite bath awaits. 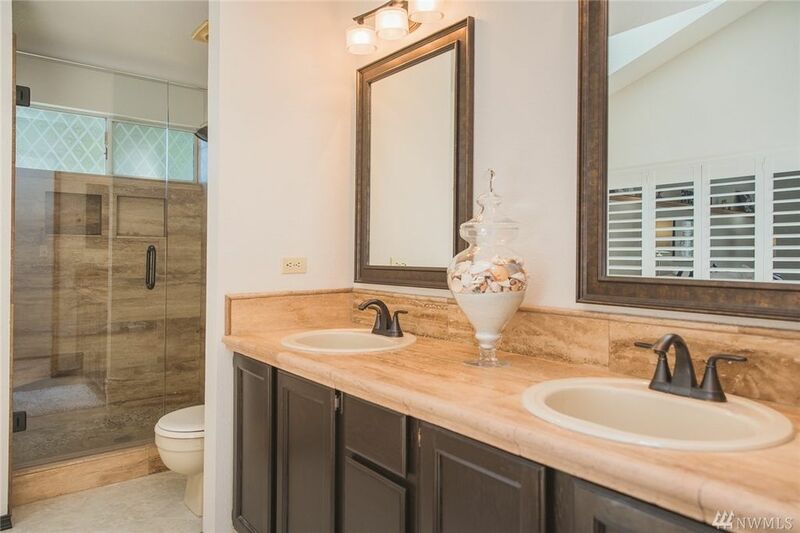 Featuring a separate shower, stylish finishes, and a jacuzzi that’s perfect for indulgent bubble baths, this magazine-worthy space offers you a private haven to take advantage of whether you’re getting ready in the morning or unwinding after a long day. 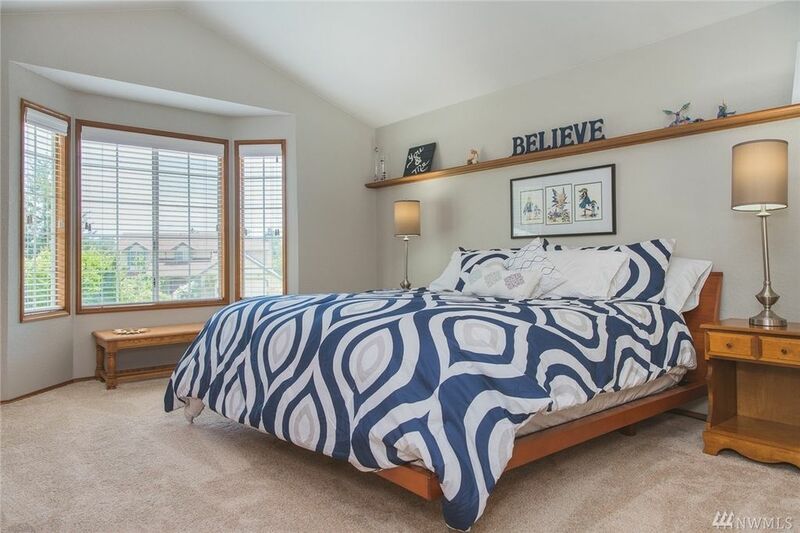 Plus, the ceiling in the bedroom holds something extra special—the ceiling may look like your average ceiling in the daylight, but when it’s dark, its fascinating star mural makes an appearance! A mural of the Andromeda Galaxy is on the ceiling, with the Milky Way down the vaulted part of the ceiling. When the sun comes out and the weather warms up, this residence’s incredible backyard offers the ultimate hangout. Fully fenced and featuring lush landscaping, this picturesque retreat offers a palatial deck alongside an above ground pool. Heated and easily maintained, the pool is ready for days and days of fun, play, and vacation-inspired relaxation! Treasured for its city conveniences and beautiful outdoor setting, University Place is a top choice for those looking for a wonderful, dynamic city to call home. 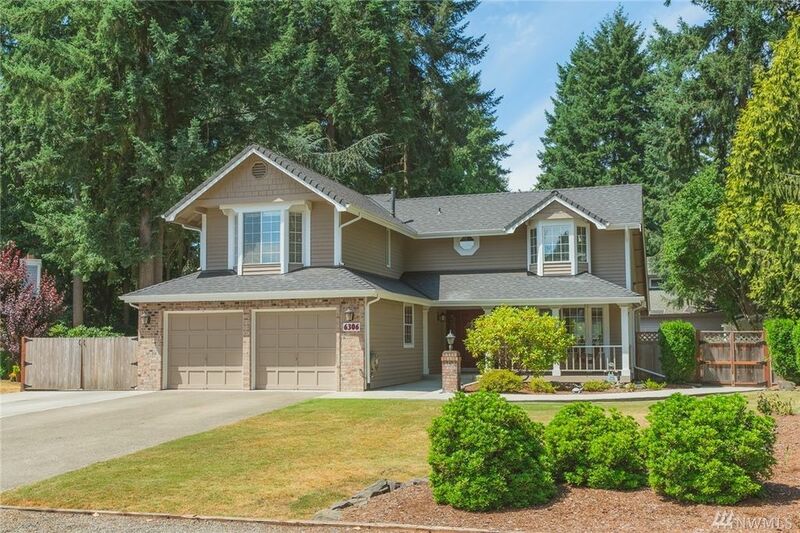 At 6306 75th Av Ct W University Place, WA 98467, this home’s sellers have loved the cul-de-sac location, as well as living in the University Place School District. You’re also wonderfully close to many amenities—for example, both Fred Meyer and Walmart are only a 3-minute drive from home. For even more shopping, restaurants, and services, just head 6 minutes up Bridgeport Way to go shopping at Trader Joe’s, Safeway, and enjoy other shops and eateries as well. Plus, the gorgeous Chambers Bay Golf Course and its signature Pacific Northwest scenery is just minutes from home as well! Interested in learning more? Click here to view the full listing! You can also contact REALTOR® Jasmyn Jefferson online here or give her a call/text at (253) 297-2637!